Brad Pitt and Angelina Jolie’s split was allegedly caused by him cheating with his co-star Marion Cotillard, a shock new report has claimed. 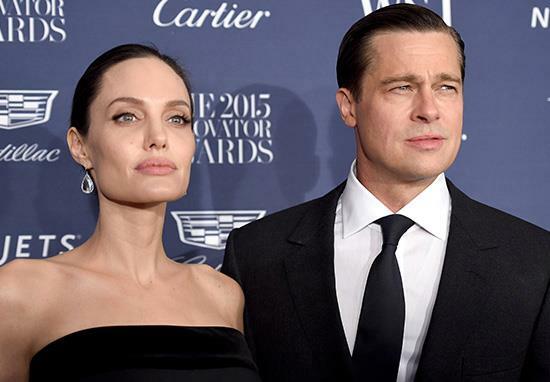 According to The Sun, Jolie suspected Pitt of being unfaithful and hired a private investigator to watch him on the set of his latest film Allied. The PI discovered that Pitt and Cotillard were having an affair, leading Jolie to file for divorce – or at least this is what The Sun‘s ‘well placed source’ claims. She hired a private eye because she felt that he was fooling around with her on the set, and it turns out, he was. And that was the final straw. Apparently, in the past few years a rift has developed between Jolie and Pitt over their Hollywood lifestyle. Pitt reportedly enjoys making movies and wishes to continue, while Jolie wants to devote herself to her humanitarian work. The older she gets, the more serious she becomes, and she is sick of the Hollywood thing. He wants to make movies. She doesn’t. It’s a fundamental difference. It’s how you live your life. The woman at the heart of the alleged scandal is Marion Cotillard, a famous French actor who won an Oscar in 2007 for her role as Edith Piaf in La Vie en Rose. While at the moment the ‘affair’ is just a rumour, Pitt has prior for for this type of thing, infamously leaving his wife Jennifer Aniston for Jolie.